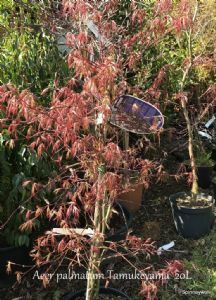 New foliage is a deep crimson red which soon changes to a very deep purple-red. Holds its colour better than any other dissected red. Autumn colours are bright scarlet.